Burlington, Vt., makes it on a lot of top-10 lists, for such merits as healthful lifestyles, a vibrant downtown and the most Subarus per capita. OK, kidding about that last one. For the Jewish Plays Project, Burlington is in the top five. In fact, it is one of only five cities to host a live contest of the best new Jewish theater. The others are Chicago, Boston, New York and San Francisco. And to be perfectly specific here, Vermont's event is in South Burlington, at Temple Sinai. But it is Burlington's 3-year-old Theatre Kavanah that will put on the live contest, in which audience members get to vote for one of three scripts via text. David Winitsky, executive director of the Jewish Plays Project, will be MC for the two-day competition — this Sunday, April 19, and Monday, April 20. The JPP, whose mission is to "put bold, progressive Jewish conversations on world stages," received more than 200 submissions for this year's playwriting contest, the fourth annual. JPP winnowed those down to 10. As one of the hosting organizations, Theatre Kavanah, with a panel of Vermont writers and "Jewish theater champions," further culled the flock to three. Brooklyn-based Gary Jaffe, Diaspora. "Latino and Jewish heritage collide in the body and minds of two sisters. One searches for Jewish meaning on an LGBT Birthright trip, while her more wild sister gets in a car accident with her immigrant boyfriend." Pleasantville, N.Y.-based (and Bennington College alum) Margot Connolly, Belfast Kind. "A 12-year-old girl struggles with her identity as a Northern Irish jew as she prepares for her bat mitzvah during the Troubles." Boston-based Monica Raymond, The Owl Girl. "A Palestinian family returns to the house they left — now given to an Israeli family. One of the daughters turns into an Owl, the fathers play chess with the remains of tragedies, and the mothers bond. Is this peace?" This Sunday and Monday, Theatre Kavanah, with play readers including Vermont actors Ethan Bowen and Karen Lefkoe, will present selections from these three works. And that's when you get to weigh in. The competition is an interactive event in which audience members vote on their favorite script via text message; they can watch the results tally in real time along with those in the other four cities. 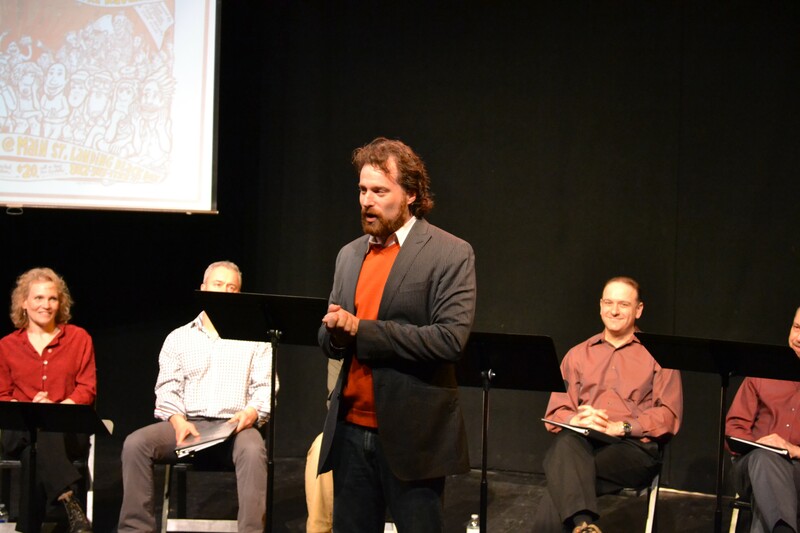 The final, winning script will receive development at the OPEN Festival of New Jewish Theatre in New York City in June. The Vermont Jewish Playwriting Contest is Sunday, April 19, at 2 p.m., and Monday, April 20, at 7 p.m., at Temple Sinai in South Burlington. Tickets are $10 in advance, $15 at the door, and can be ordered online or by calling 503-1132.